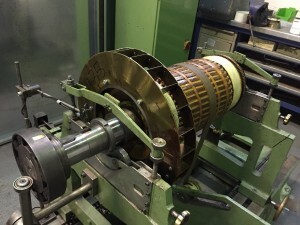 As a rotating machines repairer, we are used to balancing a variety of parts before they are re-assembled. Our expertise is in both standard and high specification equipment where balancing to super-precision levels is critical to the correct operation of the machine. We can offer a 1-off or larger quantity contract balancing service to suit your requirements. If you have a component that requires balancing then please give us a call on 0117 955 2481 to discuss.